The July/August 2017 edition of CORAL Magazine’s CORAL VISIONS opens with a stunning example of a Clavularia sp. 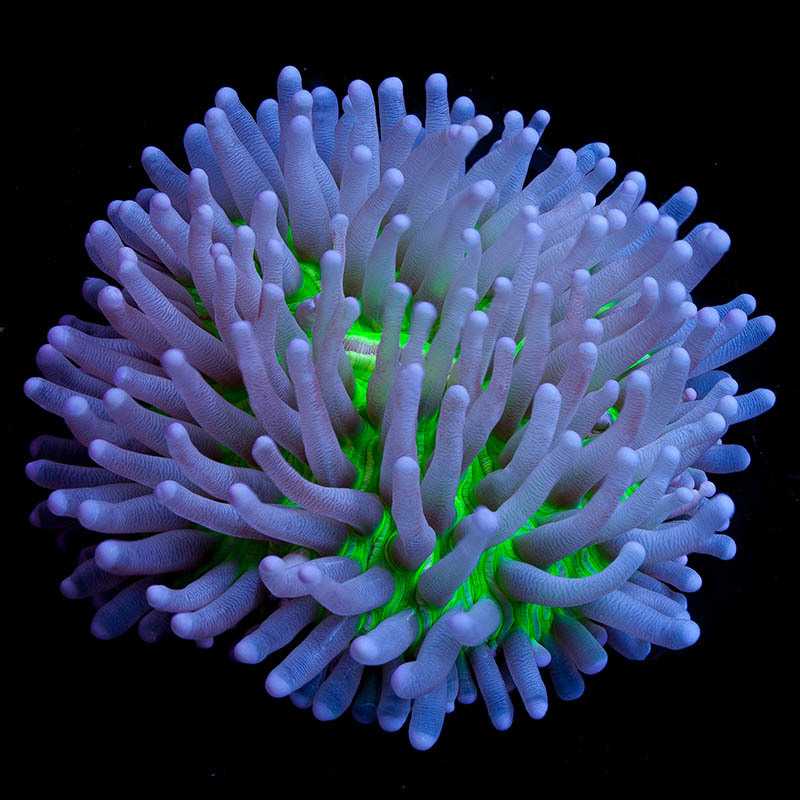 dubbed the “Pennywise Clove Polyp,” brought to us by A&M Aquatics. 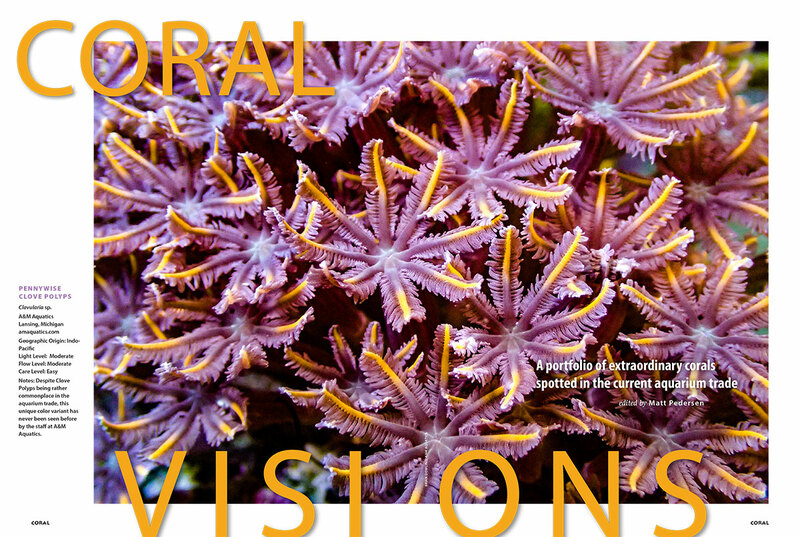 Our bimonthly ritual of taking a coral census from leading livestock suppliers has once again produced an overwhelming number of candidates, each vying for a spot in our printed edition of CORAL Visions. 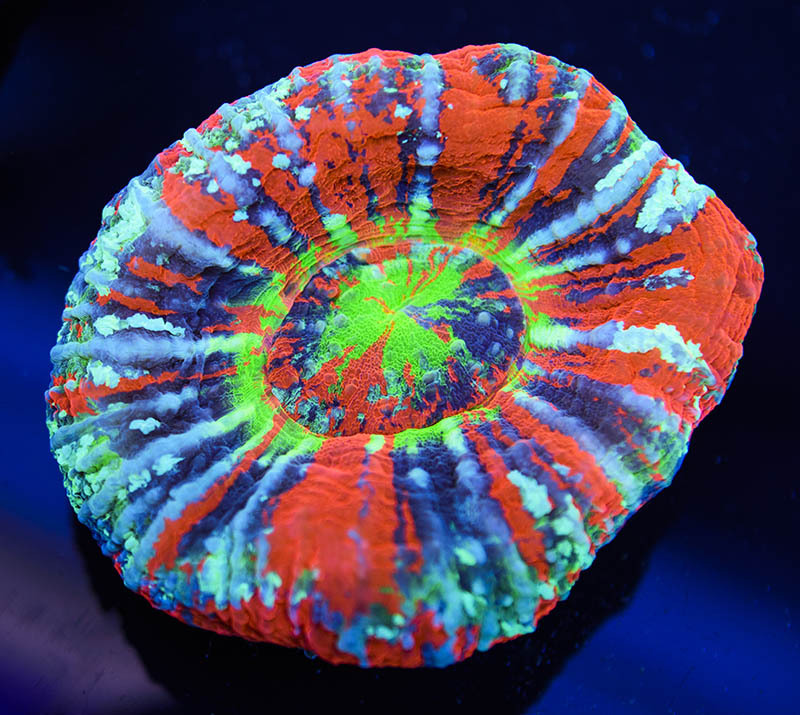 For each coral photo immortalized in the pages of the magazine, many exceptional candidates must be passed over. 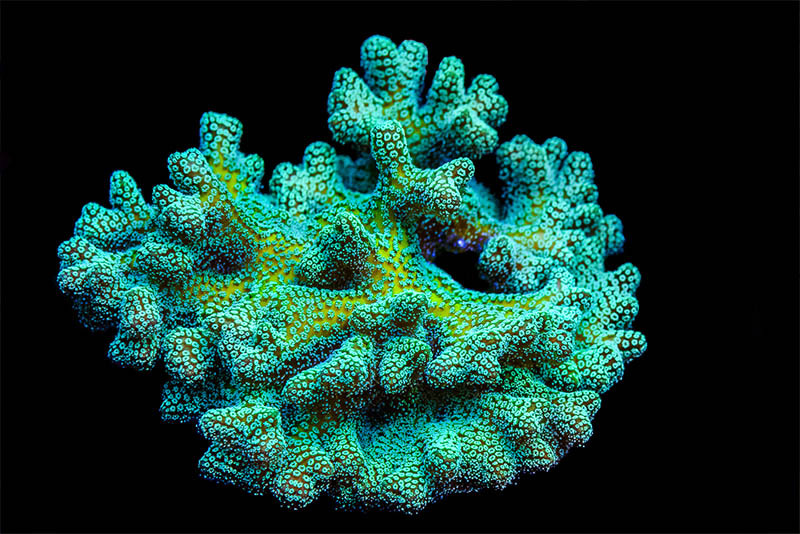 What becomes of the dozens of stunning corals that don’t make it onto the printed page? 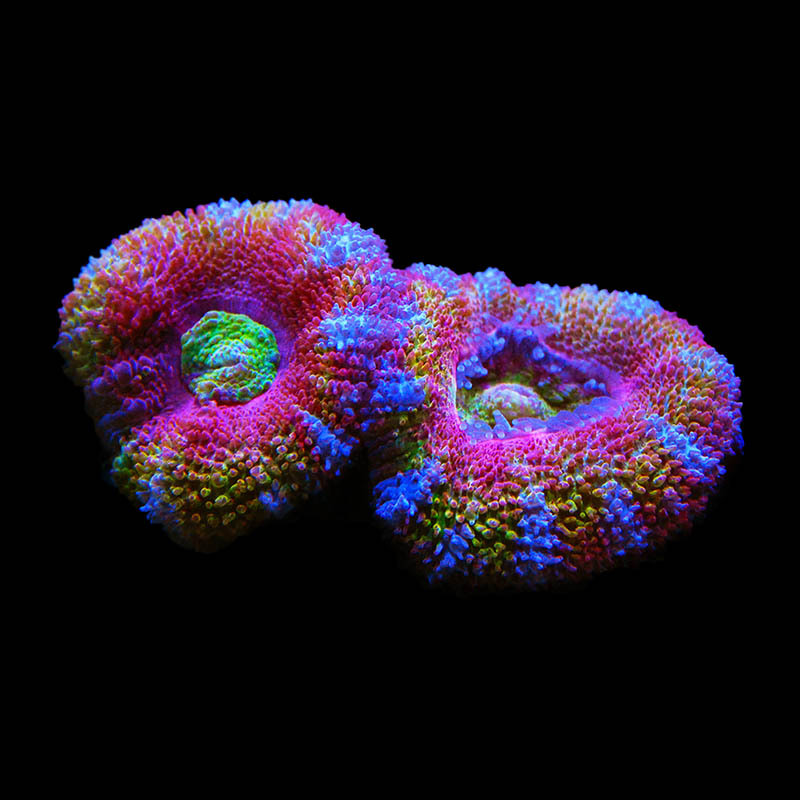 Herewith: a look at some exceptional coral morphs and cultivars that did not make it into the current issue, but that we suspect you will find worthy of a second look. 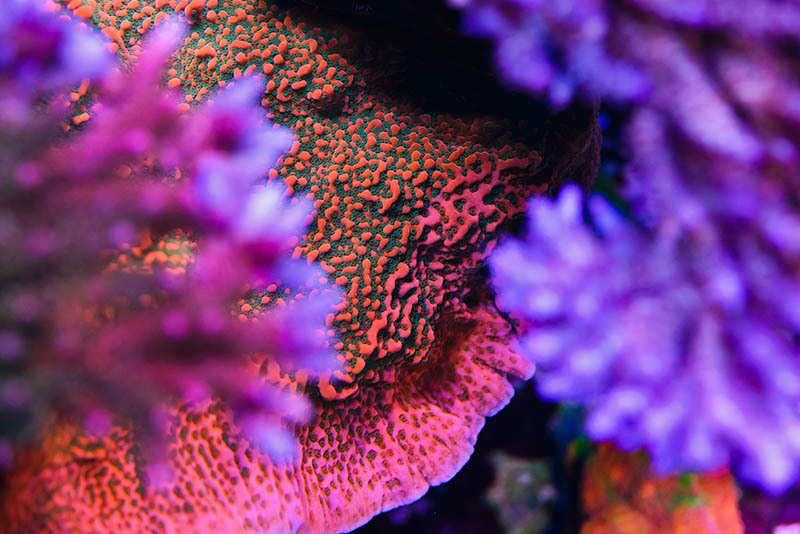 For those new to our CORAL Visions series, take note: recognized coral vendors furnish their own subjective and generalized rating on a particular coral’s care requirements. Out of respect for the expertise of these professional aquarists, and the realization that different cultivars of the same coral species may have different needs, we refrain from attempting to equalize or normalize these ratings between individuals of the same species or type. Therefore, you might see different ratings for the same coral’s light, flow, or care needs, when comparing entries. For the sumptuous print edition of VISIONS, look for a copy of CORAL Magazine at your LFS or Barnes & Noble bookstore and see the corals that beat out the ones below. Comments or suggestions to our editors may be posted below. The WWC Cherry Tree Montipora peeks out from under two Acropora colonies. 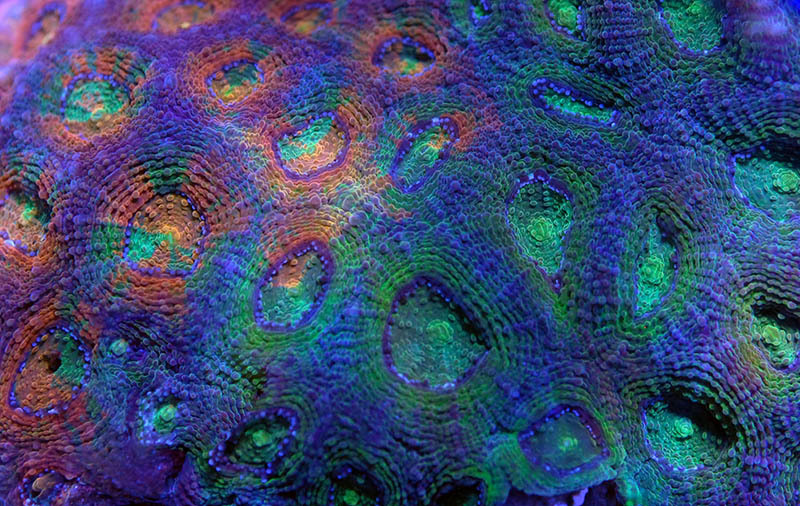 A gorgeous specimen of the Aqua Medic Rainbow Acanthastrea. 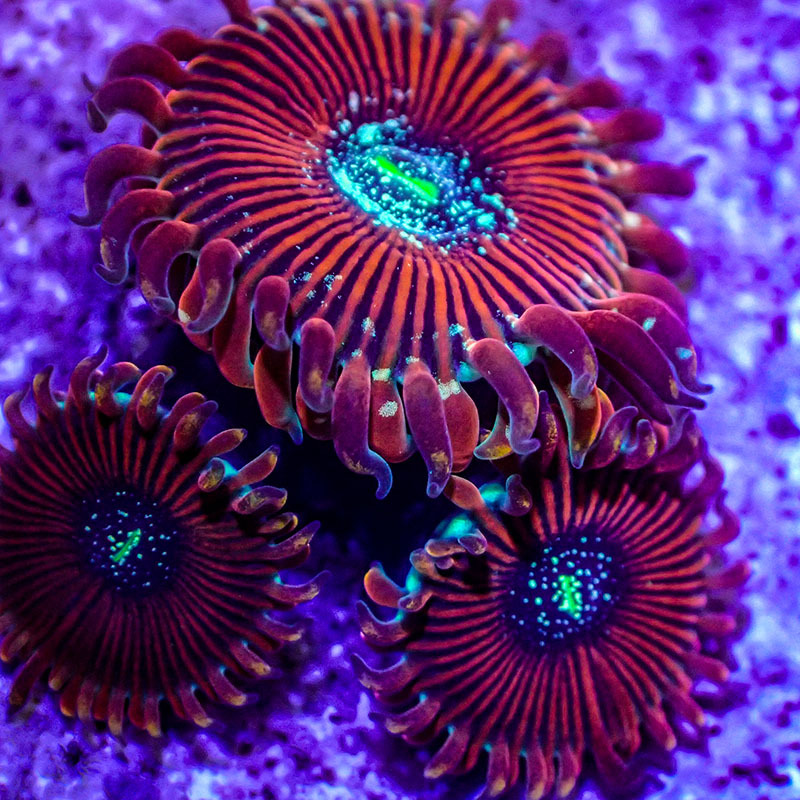 A&M Aquatics also shared these beautiful Magician Palys. Notes: Provide gentle non-laminar flow. Feed this coral frequent big meaty meals. These will take a surprisingly large meal such as Mysis, or even small-sized krill. 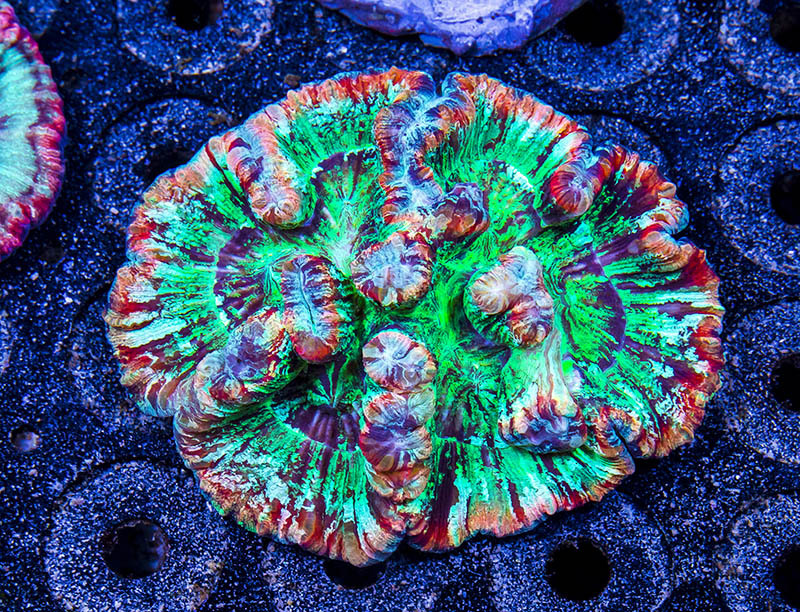 Unique Corals shows off this stunning lavender and green Long Tentacle Plate Coral. Notes: Provide non-linear flow. Sadly, they are very sensitive to handling and often times rapidly deteriorate from a single point of damage to the tissue. This is especially apparent after importing. They prefer a sandy substrate and once acclimated to captivity, can do quite well if left alone and healthy from the start. When purchasing them it is best to view the entire skeleton for signs of shipping damage.